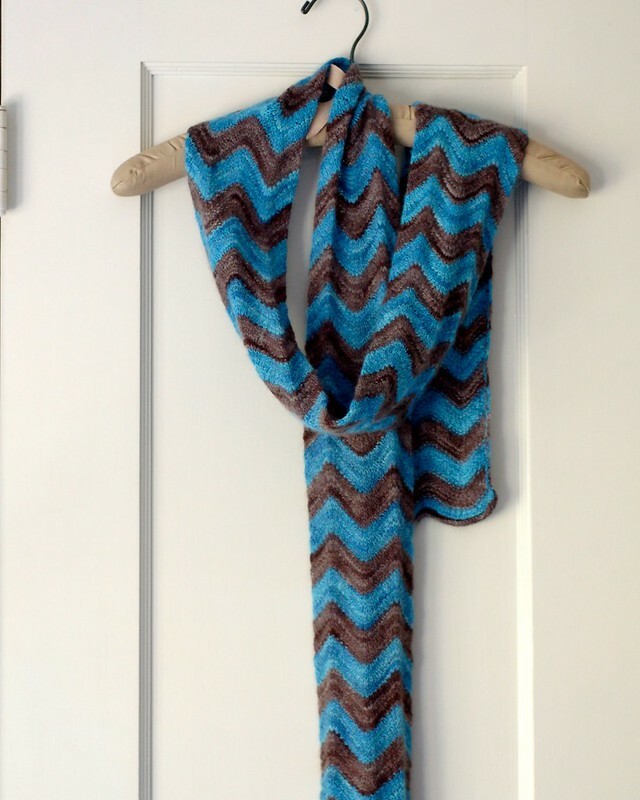 Irish Girlie’s post on her chosen color-combo reminded me that I never updated when I finished the never-ending chevron scarf. Actually had been finished for a while, but I hadn’t blocked it and it rolled like crazy. It is behaving much better now. So soft – made of 2ply cashmere from Squoosh Fibers (her etsy shop is currently closed). 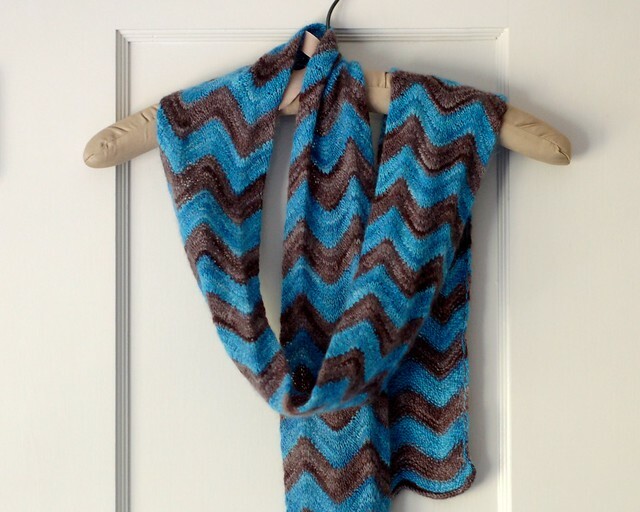 I did a chevron pattern switching off 8-rows of color. As you can see this puppy is loooong but narrow so it will be easy to wrap up close to my neck. Another knit finished just in time for our usual heat in the days of August and September. Previous Previous post: Happy Birthday Lego – My favorite toy and gift to give.